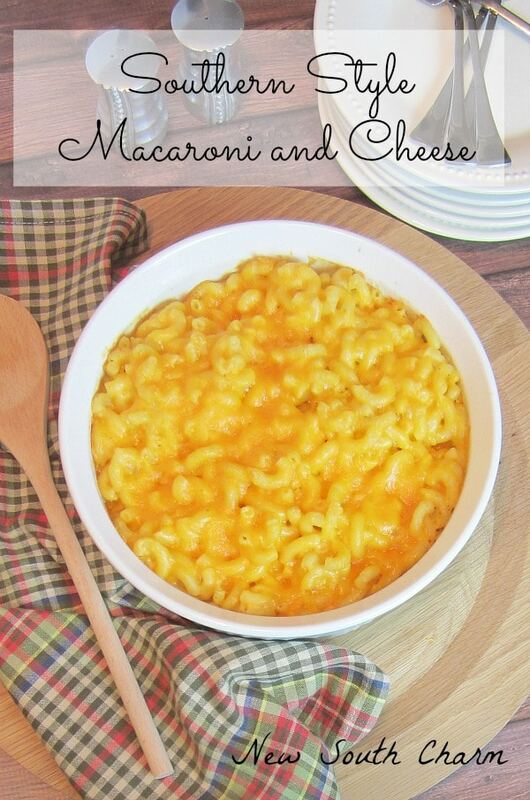 A few months ago I shared a recipe for Easy Homemade Mac ’n Cheese this is the recipe that I go to when I’m cooking dinner in a hurry. 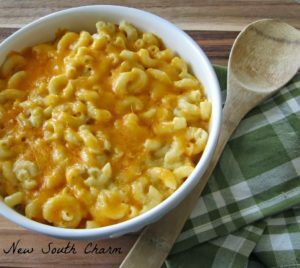 Today I’m sharing my favorite traditional Macaroni and Cheese recipe, Southern Style Macaroni and Cheese. When my husband and I were first married I was asked to bring a dish of Macaroni and Cheese to Thanksgiving dinner with my in-laws. Now like most newly weds I wanted to impress my new mother-in-law with my cooking skills so I spent days pouring over cookbooks and websites looking for the perfect recipe. After thinking about it for a couple days my mom reminded me that sometimes the simplest things are the best things. She suggested I give up my ideas of fancy cheeses and sauces and that I just make a simple recipe that everyone was sure to love. She was right and this recipe was a hit with everyone. 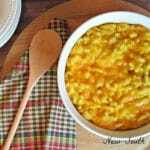 Don’t let the word traditional scare you away, this is still a really easy recipe. The key to making the Macaroni and Cheese really creamy is the roux. A roux is actually just flour, butter and milk that is constantly whisked over heat until it’s smooth. Begin by melting two table spoons of butter in a medium saucepan. Then add flour, dry mustard, salt and pepper to butter wishing it together for about a minute before adding the milk in slowly. Continue whisking for about ten minutes, or until the mixture smooth. Once smooth remove pot from heat and add in a cheese stirring constantly until melted. Just like that you’ve made a rich creamy cheese sauce. Add the sauce to prepared elbow pasta in a 3 quart baking dish. Top with remaining cheese and place in oven for 25 minutes. That’s all there is to it. Nothing too complicated. It’s easy and delicious. Yum! Simple is best, I think. Thanks for sharing. 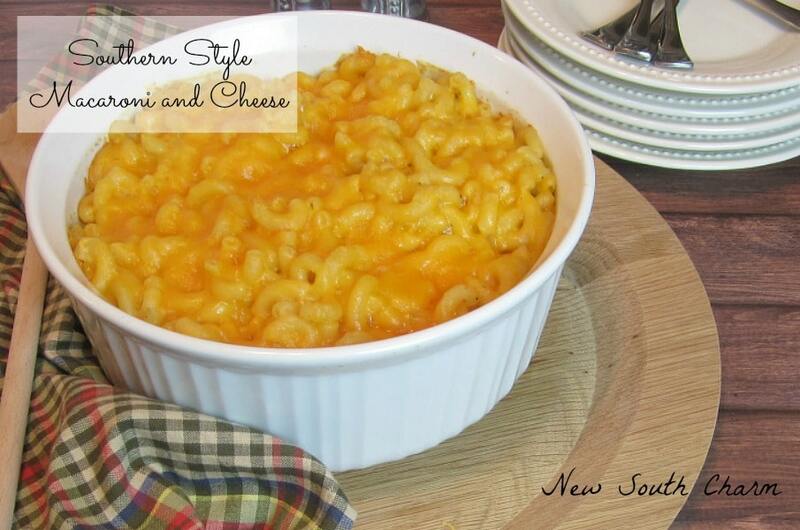 A lovely classic mac and cheese~ Thanks for sharing on Throwback Thursday! Yum! My family LOVES Mac N Cheese! This looks delicious, I can’t wait to try the recipe! There is nothing better than homemade mac and cheese. My family loves it when I make it. I have never tried using dried mustard. I will have to give it a try the next time I make the dish. oh my goodness! I am all kinda of fat kid happy at this post! 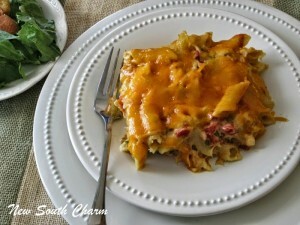 I LOVE LOVE LOVE homemade mac and cheese! I love that you use mustard as well. My grandma always did that!